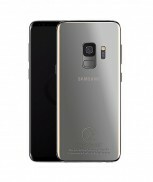 Truly Exquisite is back to gild another generation of Galaxy flagships – the Samsung Galaxy S9 and the Galaxy S9+. As usual there’s a choice of 24K gold, 18K rose gold and platinum. There are subdued options that just gold plate the metal frame of the phone along with the accents (the camera and the buttons). 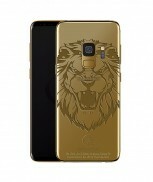 Or you can get one with a golden back with a roaring tiger, if you’re feeling more like flaunting your wealth. Lions and dragons are available too, whichever feels more like your spirit animal. By the way, the wireless charging will continue to work even if you go for a gold/platinum back. Or the genuine crocodile leather back. Prices start from £2,300 and can creep up to £3,800. Phones are available in single- and dual-SIM flavors, storage is 64 GB or 128 GB (depending on the exact options you pick). You can do a custom design too, that will take about 21 days to make. And if you have money to spare, there are 99 units of a limited edition. In 2019 the current animal war trophies being imported to the US is up for review. I am aware.